The journalist spent two hours in Wheatfield today but has now been released. 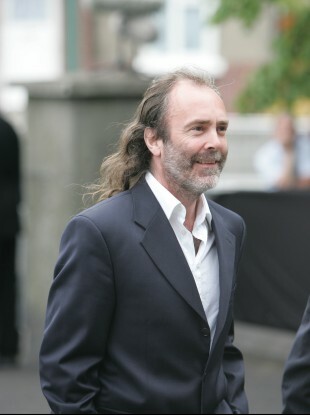 HIGH-PROFILE JOURNALIST John Waters has been released from prison after a short stay for the non-payment of parking fines. The Irish Times columnist presented himself to Dun Laoghaire garda station this morning as there was a warrant issued over his repeated refusal to pay a fine related to parking on a street in the town three-and-a-half years ago. He says he overstayed in the spot for about a minute past the “grace period”. He was transferred to Wheatfield Prison in Clondalkin where he remained for about two hours. In an interview with George Hook on Newstalk this evening, Waters said he refused to pay the fine on a point of principle. He assured the presenter that he will not have a criminal record over the issue. According to Waters, parking arrangements in Dun Laoghaire are ruining local businesses. “I believe there is a fundamental issue here about the right of people to inhabit and enjoy their public spaces. And the parking regime in Dun Laoghaire is absolutely crucifying,” he said. “Is it any wonder our towns are dying?” he asked, noting that Dundrum Town Centre offers customers parking for just €2. The arrangement for today’s imprisonment was made between Waters’ solicitor and gardaí when the well-known resident of the town made it clear that he would not pay the fine. Email “John Waters imprisoned for non-payment of parking fines”. Feedback on “John Waters imprisoned for non-payment of parking fines”.